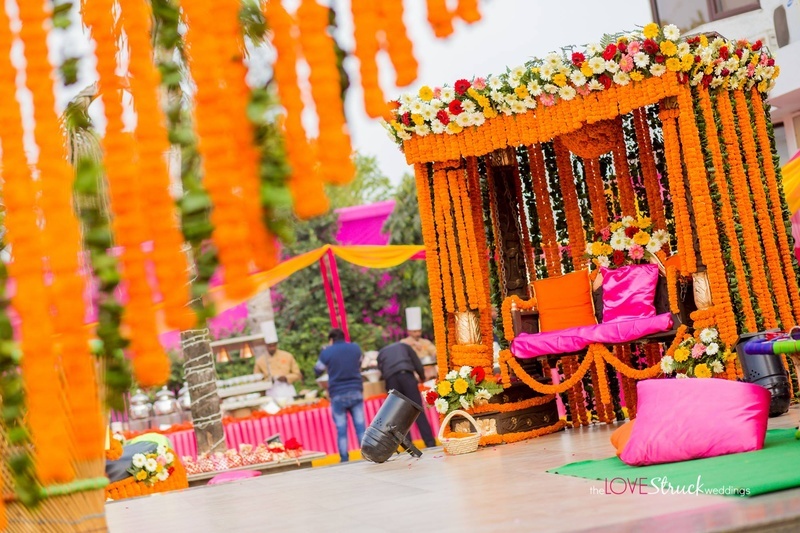 Unless you want to be badgered with such questions on the most special day of your life, you ought to get a good wedding planner as Indian weddings can get crazy. Of course your mamas and chachas can get the work done for you and supervise the vendors but wouldn’t you rather have them by your side on this special day? Today we focus on the maximum city. True to its name, everything is organized on a grand scale here. That’s why we have the list of the top wedding planners in Mumbai who can help you organize a breathtakingly beautiful wedding. And if your chachus start to feel left out, you can always pull them into your sangeet dance rehearsal. Plan your wedding with Occasionz Unlimited and make that dream wedding come true! This efficient team sits down with you to understand your story and any theme idea that you may have in mind. They provide end to end solutions for every need – photography, mehendi, decor, bridal wear and more, making them one of the most sought after wedding planners in Mumbai. Planning a wedding can be a daunting task and you don’t wanna be caught up in that! After all, you must work on that wedding glow! Arena Events & Promotions understands this very well and works with experts to make your wedding a grand affair – without troubling you at all! They also design & execute the wedding decor or theme and make sure that logistics is looked after well! From weddings, engagement parties, birthday parties to corporate events – Knotty Affair has done it all! They know how important this day is to you and make sure that every moment is made memorable. These wedding organizers will surely amp up your celebration and make it a grand affair! Events YOUR Way focuses on your needs and ideas, as the name clearly suggests. At EYW, everything is about your day and that’s what makes them one of the best wedding planners in Mumbai. Catering, Wedding decor design and execution and logistics are just some of the many things they offer. With their efficient staff and unparalleled service, they will surely sweep you off your feet! If you want to enjoy your big day without a hassle, HT Events & Entertainment is your go-to wedding planner. They can take care of the wedding theme – starting from the design to the execution. The efficient team also looks after the logistics to help you enjoy your day to the fullest.